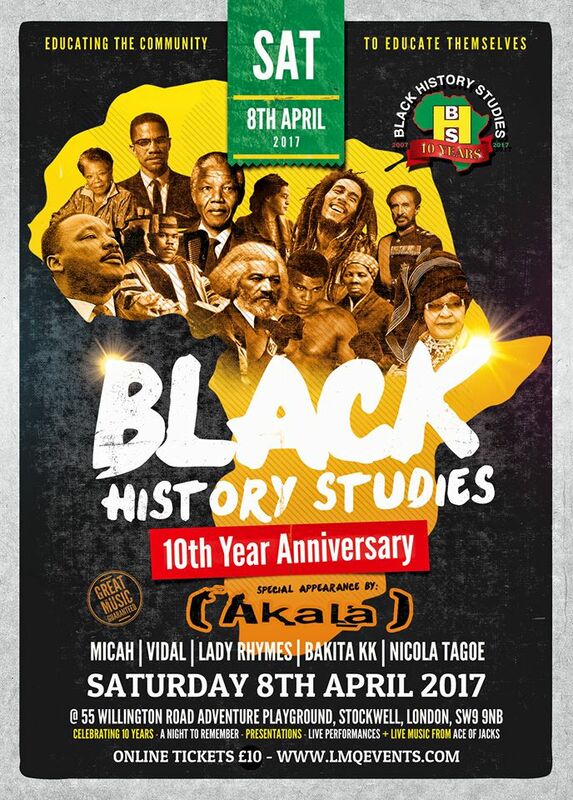 On Saturday 11th March 2017, Black History Studies celebrated being 10 years old. 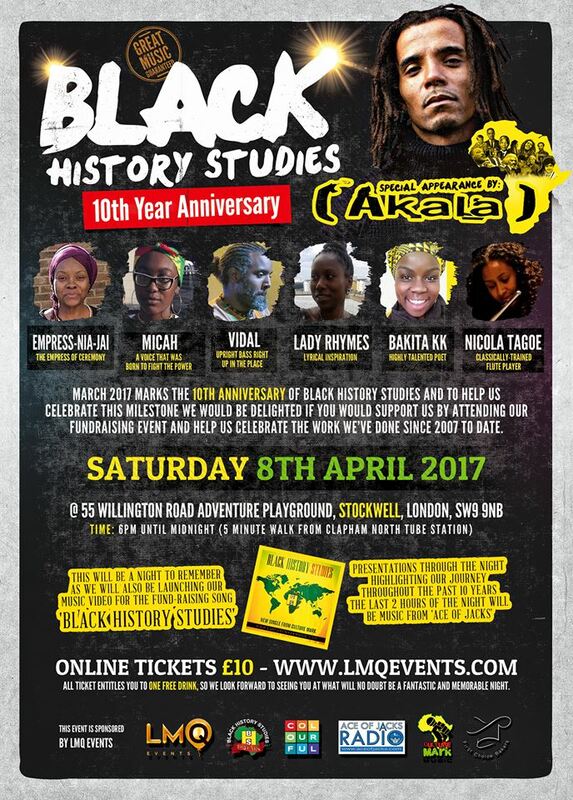 To mark this great milestone, we would like to invite you to our 10th Anniversary Celebration and Fundraising Event taking place on Saturday 8th April 2017. The event will be held from 6pm to Midnight at 55 Willington Road Adventure Playground, London, SW9 9NB. 5 minutes walk from Clapham North Station (Northern Line). Live spoken word and music performances by Micah, Vidal, Lady Rhymes, Bakita KK and Nicola Tagoe. Tickets for this event cost £10.00 which includes one complementary drink. More on the door. Once again, we thank you for all your support over the years and we hope you will continue to support us in every way, in order for us to continue to educate the community to educate themselves.We look forward to seeing you at what will be no doubt be a fantastic and memorable night.